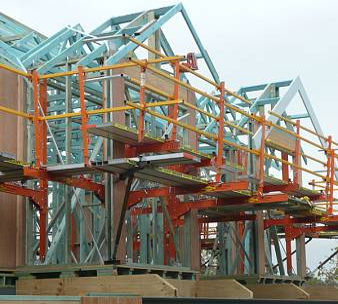 Scaffolding Hire Johannesbuerg – If you need a scaffolding hire quote for your project, be it a small construction project or a major infrastructure project, Scaffolding hire South Africa have the know how and experience to provide a complete turnkey scaffolding service. 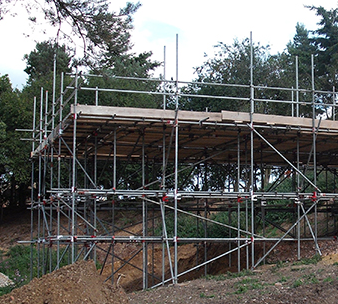 Our scaffolding hire quotations can include every aspect of the management of the scaffolding infrastructure over the duration of the project, from initial design and erection to moving the scaffolding over the course of the project and final removal of the scaffolding on completion. 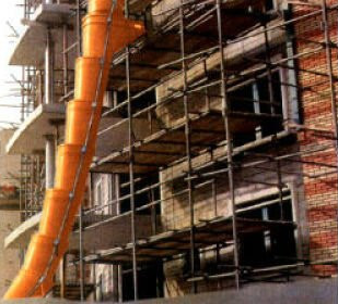 We are a Scaffolding Hire Company in Johannesburg that goes the extra mile and with the owners and many staff members having been in the construction and scaffolding hire industry in excess of 35 years each, we have teams of scaffolding design, erection and maintenance staff that are unrivaled on the African continent. 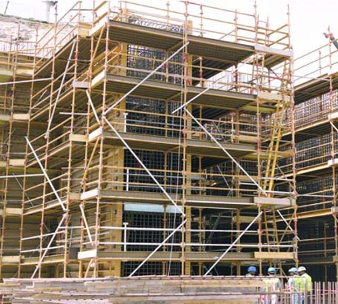 We have a proud and long heritage in the South African Scaffolding business which gives you peace of mind on your project. 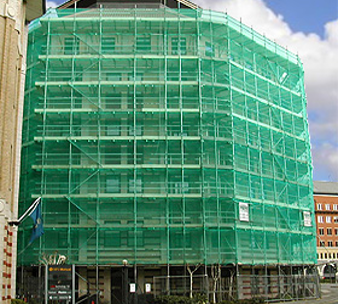 With many high profile scaffolding projects in the greater Gauteng area over the years as well as projects in other provinces, Scaffolding Hire South Africa offers efficient, cost effective scaffolding hire, design and management services across all industries. 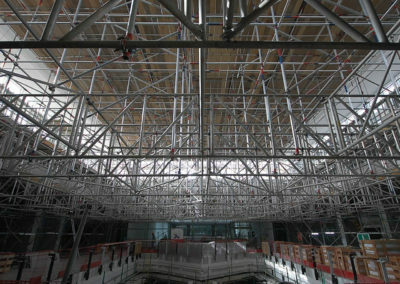 We are experience in exterior scaffolding projects as well as interior scaffolding projects, utilising some of the most complex and proprietary techniques to achieve access in very tight situations. 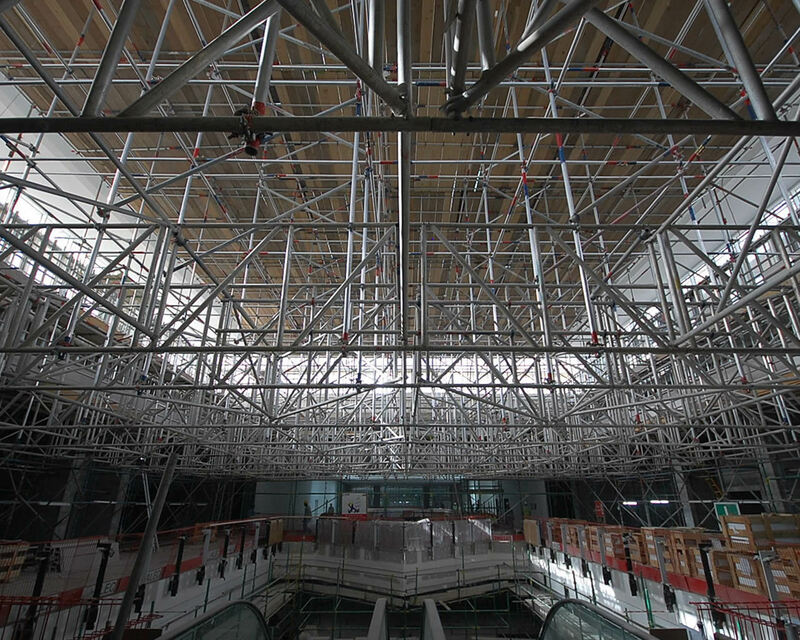 Interior scaffolding can pose some very technical applications where safety and protection from heat and other dangerous sources is a very real threat. 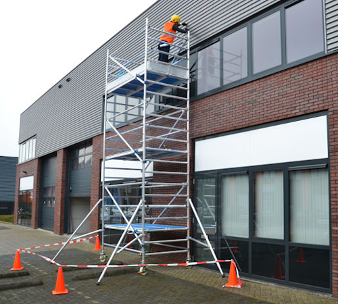 At scaffolding hire Johannesburg South Africa we are acutely aware of the safety requirements and each staff member is briefed and qualified to handle and situation. 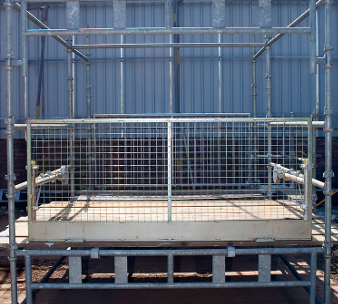 For well priced scaffolding hire in Johannesburg, we at scaffolding hire South Africa are able to compete favourably with any quote you may have received. 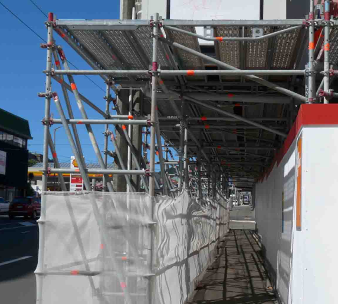 Give us a call and allow us to provide a scaffolding solution that will fit your budget and be be professionally managed by experienced scaffolding staff and riggers from start to finish.